For 74 year-old Theresa of Antioch, her retirement years are anything but golden. Theresa shares, “I thought my older years would be easy. Instead of easy, I’m not making it.” Theresa is not unique. For a growing number of seniors, that is the reality. In fact, 1 in 11 seniors in California may have to choose between paying rent, filling prescriptions or purchasing food. CalFresh, a state-run nutrition assistance program, could be the answer for many limited-income seniors. CalFresh benefits are automatically loaded onto a debit-like card that can be discreetly used at most grocery stores, neighborhood stores and farmers’ markets. Despite being one of the most effective solutions to hunger, the majority of seniors who are eligible do not use CalFresh. Why? Because of some persistent myths seniors believe about the program. FACT: There are enough CalFresh benefits available to everyone meeting the eligibility requirements. There is no need for qualifying seniors go without. FACT: Friendly Food Bank staff help seniors find out if they may be eligible. They can provide further assistance by mailing out applications or helping apply over the phone or online. FACT: Seniors can have savings, a house and cars and still receive CalFresh. The Food Bank is letting seniors know about the help CalFresh can bring, because no one should have to choose between buying food or filling a prescription. To learn more about this important program, visit foodbankccs.org/seniorcalfresh. In 2016, you helped us accomplish a lot! PUBLIC POLICIES THAT FURTHER THE FOOD BANK’S MISSION TO END HUNGER. We made great progress in 2016, but our work isn’t done yet. We still need your help to make sure everyone who needs a meal has access to one. We look forward to building a stronger, healthier community with you in 2017. Originally posted in the Vacaville Reporter: The Food Bank of Contra Costa and Solano believes that it’s good to think outside of the box; actually, we think outside cans and bags too. We recognize the value in packaged food. It is less complicated to transport, is convenient and has a longer shelf life. However, we also realize the importance of balancing diets with healthier options. That is why we are committed to providing people with fresh fruits and vegetables. The data is clear, consuming fresh produce is vital for our health. It combats obesity and diabetes, improves well-being and is the natural way of getting vitamins and nutrients that the mind and body need. Unfortunately, fresh produce can be out of reach to those on a tight food budget. In the early days of the Food Bank, donations of produce were a small part of our operation. We received fruit from backyard trees and received donations from a local produce market. We occasionally got donations of cabbage or cantaloupe from local fields. The produce was welcome, but it was random and was not a significant portion of the food we distributed. Fast forward four decades and the Food Bank now provides people in need with over 10 million pounds of produce a year. In fact, we have two distribution programs that focus exclusively on getting fruits and vegetables to food-insecure community members. The Food Bank’s Farm 2 Kids program works in conjunction with after-school programs to provide fresh produce to kids, even when school is out. Many children who receive free or discounted breakfasts and lunches during the school year have no choice but to skip meals during the summer break. Farm 2 Kids helps bridge that gap for thousands of school-aged children. Last summer, we distributed over 176,000 pounds of fresh produce through our special Farm 2 Kids summer program. This summer we are continuing to build the program. We are making healthy fruits and vegetables available to over 5,900 kids each week, at 46 sites, in partnership with dozens of programs across Contra Costa and Solano counties. In addition to receiving produce, the children are educated about the benefits of eating healthy. Not only are their growing bodies being nourished now, but healthy lifelong eating habits are being reinforced for their future. The other program that focuses exclusively on distributing produce is the appropriately named Community Produce Program. We started it in 2013 and it quickly became our second largest distribution program. Fresh produce is distributed year-round using customized refrigerated trucks that serve as mobile farmers’ markets. 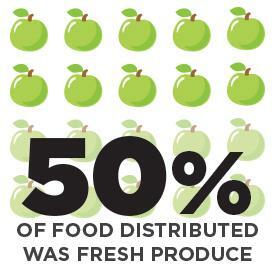 Today we have 55 Community Produce Program distribution sites that provide produce to people twice a month. Last year, through this program alone, we provided over three million pounds of fresh fruit and vegetables to low-income families. People of all ages, including children and seniors, benefit from this resource and receive produce that they otherwise might not afford. The Food Bank of Contra Costa and Solano believes fresh fruits and vegetables should not be considered a luxury. Our entire society benefits when everyone has access to healthy food. Together, we are not only fighting hunger, we are also strengthening the population’s overall health. Originally posted on the Vacaville Reporter: An astonishing one out of five children within our community is food-insecure. Child hunger doesn’t just affect children. It affects parents and our society as a whole. When children grow up with chronic hunger, we know that they experience significant physiological damage because their growing bodies don’t get the nutrition they need. Children also suffer psychological damage because they don’t have the sense of security that comes from knowing where their next meal is coming from. Food is the most basic daily need. As a parent myself, I can imagine the anguish a parent faces when they struggle financially to the point where they can’t always have enough food to feed their children. Not being able to provide for your child destroys a parent’s self-worth. Many parents face it on a daily basis and many more found themselves in this boat for the first time during the housing crash in 2008. Studies have shown that food-insecure children fall behind their friends in academic achievement. Children are the future of this country, as we all know, so not providing adequate nutrition now will ultimately negatively affect all aspects of this nation. To address child hunger, we have programs at the Food Bank that cater specifically to children. Farm 2 Kids helps low-income children have access to fresh fruits and vegetables. We partner with after-school programs in low-income areas in eligible school districts. Children take home three to five pounds of produce weekly. Our School Pantry Program provides nutritious, nonperishable food to students attending qualified low-income schools. Located on school grounds, the pantries offer middle school and high school students access to groceries on an as-needed basis. The Food Bank is an important resource for children in need within our community, and we also conduct outreach to educate families with children about other resources available to them. We work with the county to help enroll families in the CalFresh program. Through this program families receive benefits to purchase groceries helping to stretch their limited budgets. 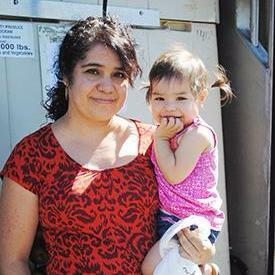 CalFresh is the most effective nutrition assistance program at pulling families out of poverty. In three short months, schools will be out for the summer. When my children were growing up, summer just meant adjustments to our family routine because school was no longer in session. We never thought about our children not having enough food because school is out. Unfortunately, the reality for many children is that summer breaks mean less food is available to them. That’s why the Food Bank advocates for the Summer Food Service Program at the government level. Also, we perform outreach locally to educate families about this federal nutrition assistance program that helps children 18 and younger. We believe that no family in our community should ever have to send a child to bed hungry. If you are interested in donating to the Food Bank to help us end child hunger, please visit www.foodbankccs.org/childhunger. 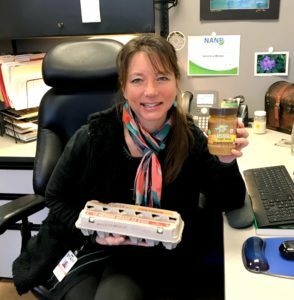 Originally posted in The Vacaville Reporter: Working at the Food Bank of Contra Costa and Solano for all of these years has taught me that many of our senior citizens are food-insecure because they struggle financially. Thirty years ago we started our Senior Food Program, to help this often-vulnerable segment of our population. Our goal was to provide some supplemental food assistance to low-income seniors, age 55 and older. We saw that people who relied on Social Security as the bulk of their retirement income had difficulty making ends meet. Three decades later, that has not changed. One thing that has changed is that thirty years ago it was much more common for people to retire with an employee-sponsored pension to help in their golden years as a reward for years of dedicated service. Nowadays most people are expected to self-fund their retirement accounts, but not everyone can afford to do so. When you are barely getting by and having difficulty paying your bills in the present, it’s hard to put away money for the future. An ongoing problem within the Social Security system is that while the cost of food, housing and healthcare are always on the rise, increases in benefits are minimal or nonexistent. Social Security benefits simply don’t keep up with the rising cost of living, especially in the Bay Area. In addition to the Senior Food Program, low-income seniors can receive food through some of the Food Bank’s other direct distribution programs, including the Community Produce Program and Harvest to Home. We also partner with other nonprofit agencies that provide assistance to seniors through their pantries and soup kitchens. We are thankful for our supporters who allow us to provide seniors with the nutritious food they deserve. If you are interested in making a financial donation to fight senior hunger, visit us at www.foodbankccs.org/seniors. If you are a senior needing assistance, please visit www.foodbankccs.org/getfood to get more information about a Senior Food Program distribution in your city. The number of seniors we serve has grown over the years. Many of the seniors we talk to were once hard-working people who never imagined that they’d need assistance from a food bank someday. Aging is inevitable and people are living longer than ever. We need to let seniors know that we care and send the message that our society still values them. Most of the seniors we serve never imagined that they would someday be in the position of needing assistance from the Food Bank. Colleen, age 71, is no exception. She worked as a Dental Nurse for years. When her husband fell ill with cancer, she became his full-time caregiver. Now a widow for five years, she lives solely on her social security. Like many seniors, Colleen has to make tough choices with her limited income, especially when it comes to paying for medical expenses. To learn more and to make a financial gift to help seniors the Food Bank provide assistance, visit www.foodbankccs.org/seniors. Originally posted on the Vacaville Reporter: We at the Food Bank of Contra Costa and Solano are excited to start 2016 by announcing a new program. Harvest to Home started as a pilot program and has now officially become our eighth direct distribution program. Like our other endeavors, it was created out of an unfulfilled need within our community. 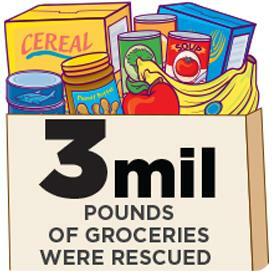 We became aware of this need while out on our Community Produce Program distributions. That program involves two converted beverage trucks going out to 56 sites in low-income neighborhoods and serving as mobile farmer’s markets. As the program was gaining momentum and becoming more visible, we were asked by community partners if it would be possible to make additional stops at low-income residential housing complexes located near our Community Produce Program sites. We learned that residents in nearby neighborhoods qualified to receive food from the Community Produce Program, but simply could not participate because they didn’t have transportation to the distributions, were at work during distribution times or were medically homebound. The truckloads of food that come into our warehouses can only make a difference if we can successfully get it out to our community members in need. Our job is to not only procure food, but also to make it accessible. We recognized that if we went to these low-income housing complexes, we could reach more people in need and do so in an efficient manner. And so Harvest to Home was born. There are currently six sites up and running; they are located in Richmond, Pinole, Vallejo, Dixon, Hercules and Concord. The deliveries occur twice a month and include fresh seasonal produce and loaves of bread. Our Food Bank staff delivers the food to these sites where volunteer residents and the site staff typically set up distributions in common areas like community rooms. At a pre-determined time, residents can come in with bags and pick out what they need.Similar to a farmer’s market, it becomes a time for shopping and socializing, providing a sense of community and nutrition. Living on a limited income is not easy, especially in this area. Single parents who have low-paying jobs struggle every day to feed their families.Senior citizens and disabled people have a difficult time getting by, even if they live in subsidized housing. We are proud of this new program that allows us to reach even more people in need. Over 900 individuals received fresh fruits and vegetables last month from the Harvest to Home program. The feedback we have received so far has been very positive. With the community’s continued support, we hope to add two additional sites this year.